This painting is part of a new series: 100 Flowers in 100 Days! Starting April 1 (no fooling) through July 9, I will make a new Flower painting each day and post them the same day. 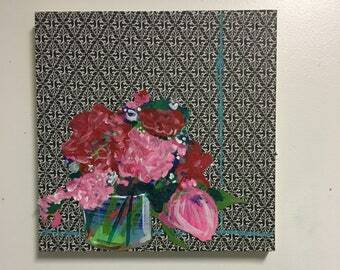 This piece is on canvas, 12" x 12" with sides painted so a frame is not necessary. The sides are also thick, gallery framed, to avoid warping over time. 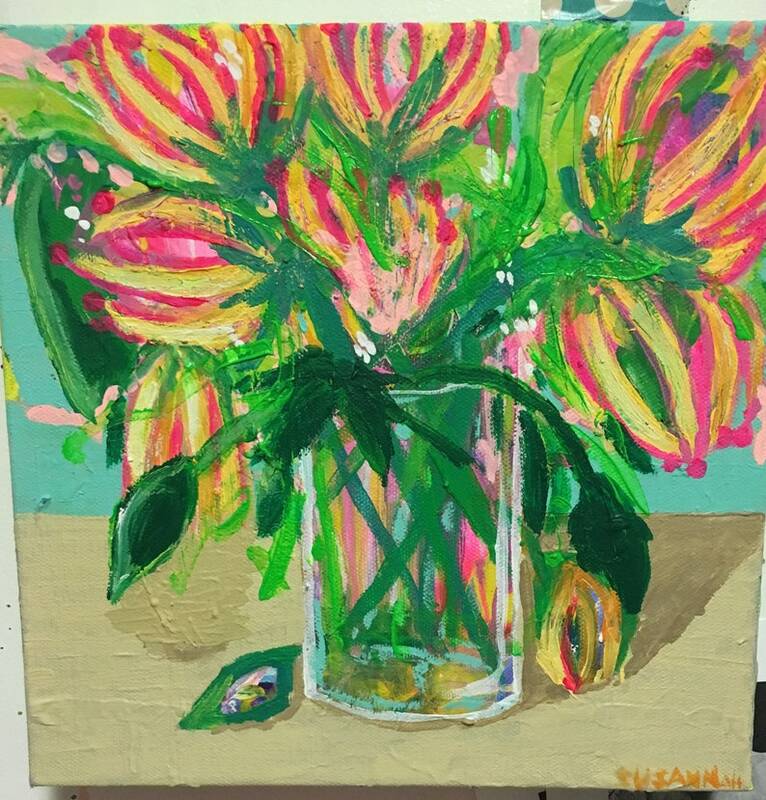 This is an original acrylic painting of a bright bouquet in a vase with greens in various shades, pinks, and yellows against a turquoise background. Varnished for extra protection and shine. Bound to start spring with a kick.